Linda Bean at Port Clyde. 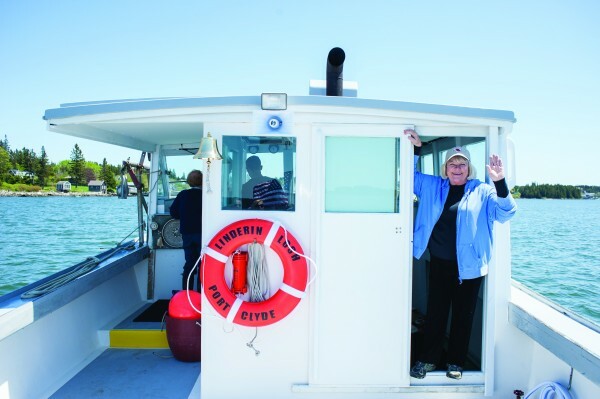 PORT CLYDE, Maine — Linda Bean’s path to becoming one of the major players in the state’s lobster industry came late in life. Bean, the granddaughter of L.L.Bean’s founder, had a home in Port Clyde a quarter mile from the Port Clyde General Store, the Dip Net restaurant, and down the road, the Bay Lobster wharf where lobstermen unloaded their catch. She knew the owner of the Bay Lobster buying station and his wife, Nancy Albano, called Bean and asked if she would be interested in acquiring the lobster business. Though intrigued by the property, Bean wasn’t sure about running a lobster business. The Albanos stayed on for the next lobster season to show her how the business operates through an entire year’s cycle. In February 2007, she purchased the wharf for $1.6 million, although Albano retained the Bay Lobster name. A few months later, Bean purchased Port Clyde’s general store and restaurant, both anchor businesses in this coastal village, for $1.1 million. Those were the first of what has become many acquisitions on the midcoast for Bean. Even if you know nothing about Bean, her heritage suggests business acumen. The granddaughter of Leon Leonwood Bean, who founded L.L.Bean in 1912, said the privilege of being one of the L.L.Bean heirs has given her the opportunity to make the investment in the Maine lobster industry. She said the privilege of being an L.L.Bean heir has given her the opportunity to make the investment in the Maine lobster industry. “You need a lot of working capital to be in this business. If not for the success of L.L.Bean and its stocks, I couldn’t have had the success I have had,” she said. In the first year she owned the Port Clyde wharf, her company purchased 400,000 pounds of lobster from harvesters. Today, she has five buying stations and expects those businesses will purchase 7 million pounds in 2013. Based on 2012’s catch total of 126 million pounds, that would represent about 5.5 percent of the state’s total lobster catch. Along the way, Bean became aware of the Maine lobster industry’s dirty secret — 70 percent of Maine lobsters are shipped to Canada where processing facilities package, freeze and ship the meat back to Maine and elsewhere in the world. The entrepreneur in Bean saw no reason why Maine lobsters had to be shipped to Canada to be processed. In December 2008, she got into the processing end of the industry by purchasing the 23,000-square-foot former Oak Island Seafood plant in Rockland’s Industrial Plant for $1 million. Her belief that “the added value of processing Maine products should stay in Maine,” has not wavered. David Cousens, president of the Maine Lobstermen’s Association, said Bean’s involvement in the lobster industry has been a net gain. “Any time you create more processing in this country, it’s positive,” Cousens said. The head of the lobstermen association said Bean has made a large investment in the industry’s infrastructure, including improvements to the wharves she purchased and providing bait coolers so that lobstermen can buy what they need. Bean’s activities have not been without controversy, however. Her involvement in right-wing politics (she ran unsuccessfully for Congress twice in the late 1980s and early 1990s) has occasionally put her in the headlines. And her buying spree in Port Clyde has also ruffled some feathers. If such backlash has tarnished her reputation, it doesn’t show. After the initial purchases in the center of Port Clyde, Bean’s industry grew quickly. In April 2008, Bean purchased the Harborside Wharf on Vinalhaven for $700,000. In February 2009, she purchased a buying station for an undisclosed amount on Bar Island at the entrance to Vinalhaven. In March 2009, she purchased the 12,000-square-foot former North Atlantic Products plant in the Rockland Industrial Park, which she uses to store lobsters, and the Bert Witham wharf in Tenants Harbor for $850,000. And in November 2010, she purchased the former Inland Seafood Co. wharf for $1 million. But Bean hasn’t always had the Midas touch. She tried to buy the Atwood Lobster company on Spruce Head Island, which was a major dealer in the state, but couldn’t reach an agreement. The Atwood family then sold its lobster company in 2011 to a subsidiary of Highland Park, Ill.-based Mazzetta Co., which bills itself as one of the world’s leading fully integrated direct importers of premium-frozen seafood. While not buying the Atwood company, Bean was able to win the plum contract to provide lobsters to the Maine Lobster Festival, one of the largest summer festivals in Maine. The Atwood company had been the longtime supplier for the festival. The festival is held for five days on Rockland’s waterfront — this year from July 31 through Aug. 4. Tim Carroll, president of the festival, said Bean has been good for business. This will be the third year she has the contract to provide the projected 20,000 pounds of lobster for hungry visitors to Rockland’s premier event. Carroll pointed out that Bean also has become a major sponsor for the festival. “I feel we have become great partners in the promotion of Maine lobster,” Carroll said. And she hasn’t stopped there. In April 2013, she purchased the 11,000-square-foot former Courier Publications printing plant which was being converted into a lobster processing plant by a Canadian company. Bean will use that building for additional storage of lobsters, grading the crustaceans and distribution. Bean said half the lobsters she buys are sold live to restaurants across the country. The remaining half are processed at the Rockland plant where they are then sold whole or in parts. 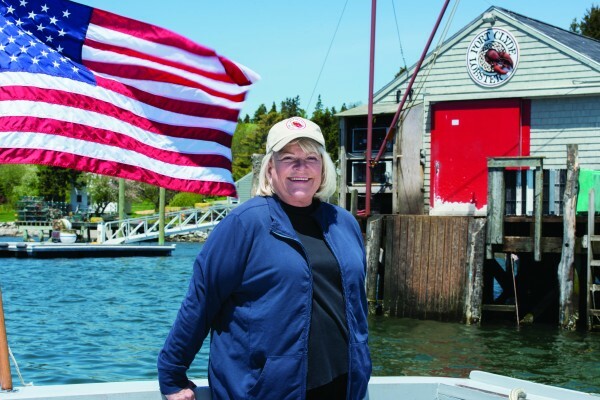 In addition to the Dip Net in Port Clyde, she owns the 240-seat Linda Bean’s Maine Kitchen & Topside Tavern in downtown Freeport, a 180-seat restaurant and lounge at the Portland International Jetport, and Linda Bean’s Perfect Maine Lobster Cafe in Delray Beach, Fla. The Port Clyde businesswoman has focused on marketing lobsters, believing that the more they’re marketed, the better it is for lobstermen who need to find buyers for the growing catch. In 2007, Maine lobstermen landed 64 million pounds of lobsters and received $280 million for that catch. In 2012, Maine lobstermen landed 126 million pounds and earned $339 million. Bean, whose products are sold under the trademark name Linda Bean’s Maine Lobster, was one of the leading figures in getting Maine lobsters eligible for sustainability certification from the Marine Stewardship Council. To Bean, telling consumers that they are buying sustainable Maine lobsters, similar to organic label on foods, is key to the industry’s future.